Look for some changes in Southold Town’s website next month. Frequent viewers of public access Channel 22 may soon notice some new programming: Southold Town Board work sessions. 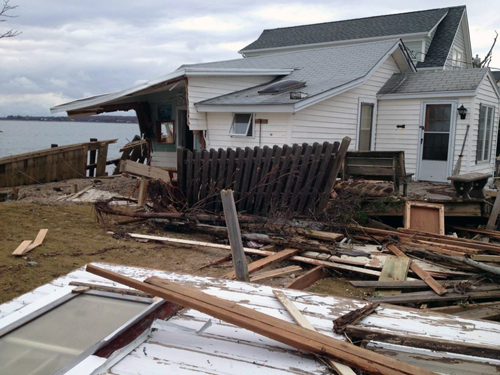 TROY GUSTAVSON FILE PHOTO | Rabbit Lane in East Marion was among the streets hit hardest by Hurricane Sandy on the North Fork last October. The East Marion Community Association will host “Southold Town Responds to Lessons from Sandy,” Saturday, Sept. 7, from 10 a.m. to noon at the East Marion firehouse. Doors will open at 9:30 a.m. for coffee and refreshments. The free presentation by Lloyd Reisenberg, town emergency coordinator, will focus on disaster planning and emergency response updates. Contact Robin, 477-2819, [email protected].